Select “Screens” section and press Plus Button > New. Rename created group to “Home”. Click Plus Button > New Screen > New screen. 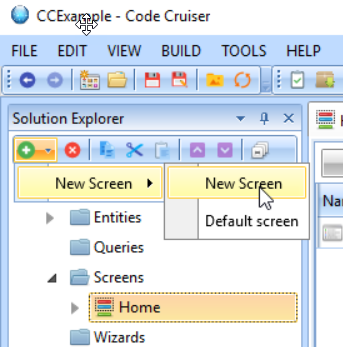 Rename newly created screen to FirstScreen. 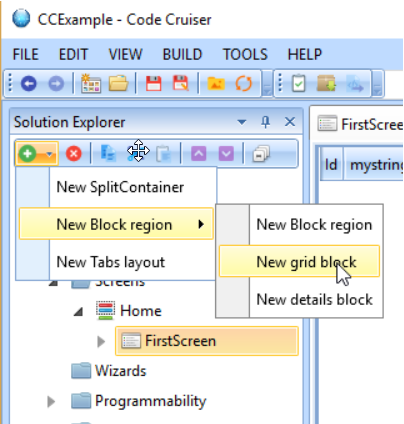 Click Plus Button > New Block Region > New grid block. 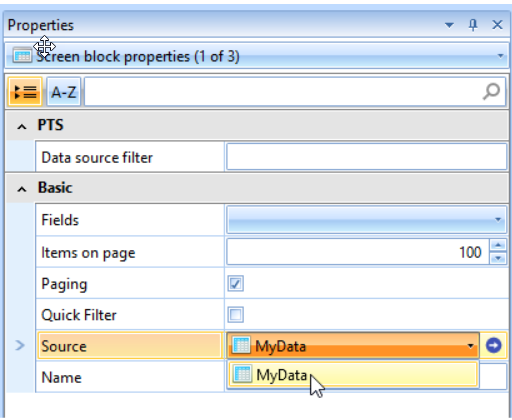 On properties tab select “MyData” as a source. 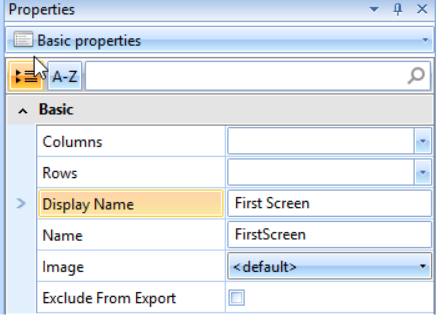 Select All fields for Fields property. Notice these fields appeared in the middle window.